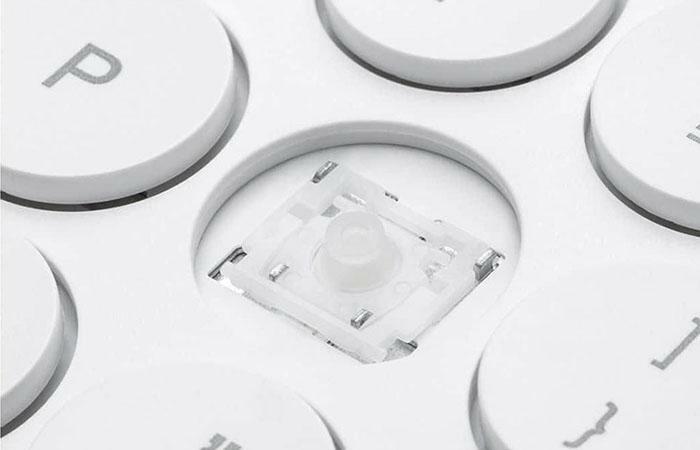 The keyboard comes with circular keys which is made from white ABS plastic. All the characters on the keyboard are carved by laser, so it is not only very clear, but also durable. Turn the keyboard over to the back. Its base is made of gray aluminium alloy, which has a simple appearance and make the keyboard look classy. In the four corners of the keyboard, it also has shock-proof and skid-proof foot pads. On the one hand, it can protect the desktop from scratching, on the other hand, it can prevent sliding on the surface when used. 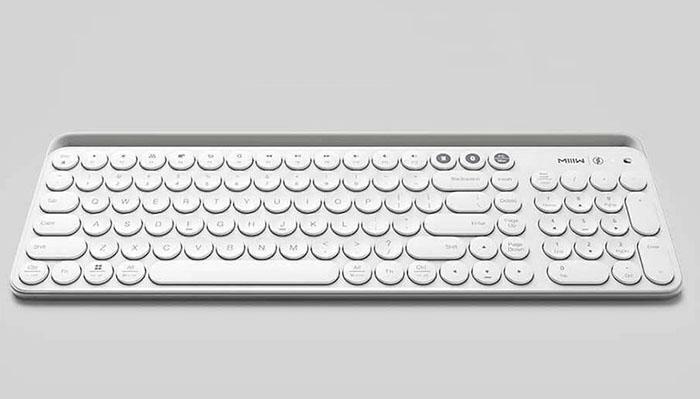 The keyboard adopts concave and convex keys design: the function keys are convex keys, while the letter and number keys are concave keys, which are easy to distinguish when using, and can also help to reduce spelling errors. The F1-F12 keys of the Miiiw Bluetooth dual-mode keyboard supports different function modes, and it can achieve fast functional adjustment together with the Fn key. 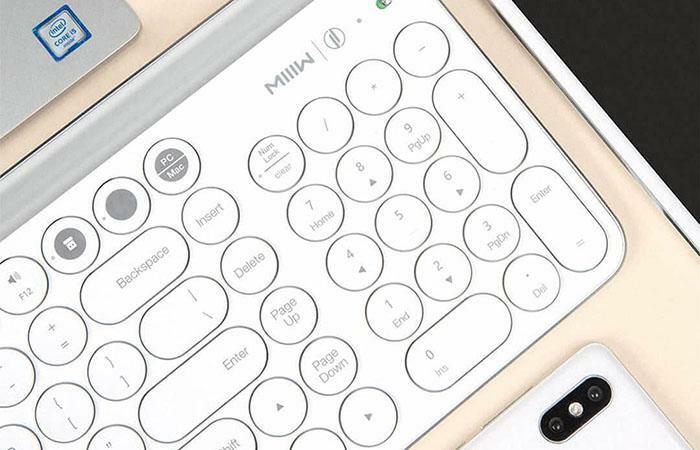 The downside is that the Miiiw Bluetooth dual-mode keyboard doesn’t have backlight, so it’s not very convenient for you to use it under the low light environment. 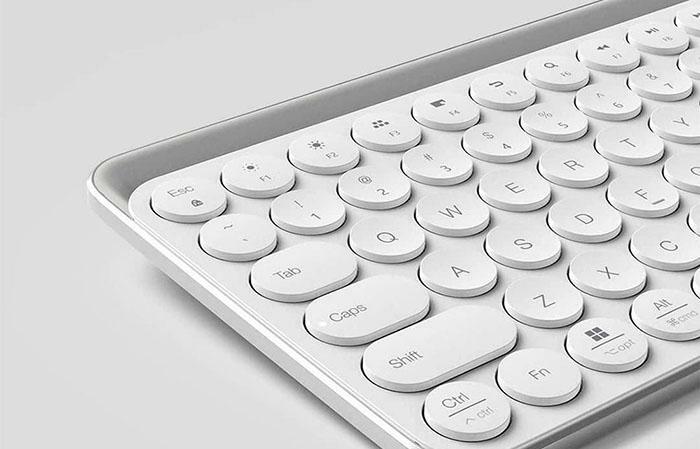 The Miiiw keyboard adopts scissor leg design with 1.5mm high key travel. Although the springback of the keys is not as good as mechanical keyboard, however, the tapping feeling is good among the scissor leg designed keyboards in the market. In addition, there is an integrated soft rubber holder on the Miiiw keyboard, so you can put your smartphone or PC on the keyboard to achieve more functions. 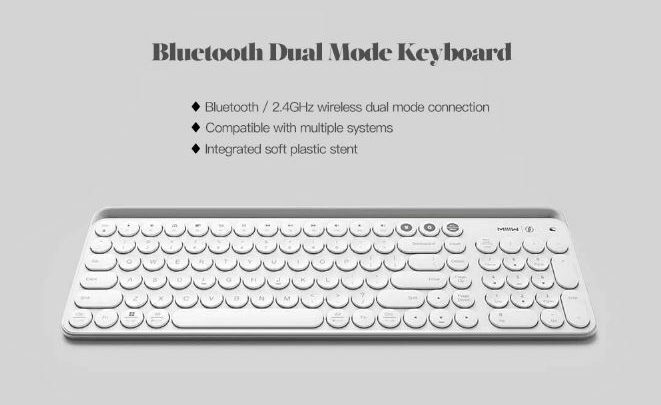 Despite the convenient connection switch between Bluetooth and USB, the keyboard also has wide compatibilities. It supports multiple operating systems, such as Windows, Mac, Android, iOS. 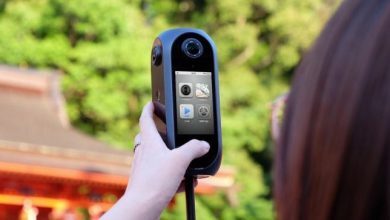 So it can work with most smartphones, tablets, and computers. 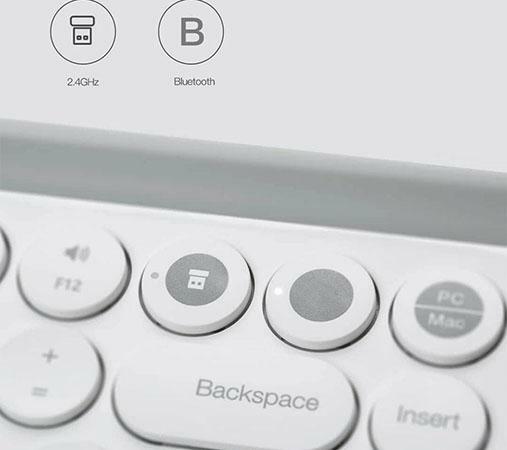 Generally speaking, the Xiaomi Miiiw MWBK01 wireless Bluetooth keyboard not only have pretty design, but can achieve fast connection switch between USB and Bluetooth. It’s a very good office equipment to help you improve your working efficiency. However, if you are used to tapping on the mechanical keyboard, it might take you some time to adapt to the Miiiw keyboard. While considering the price of $59.99, the Miiiw keyboard does offer good value and multiple convenient functions for you.